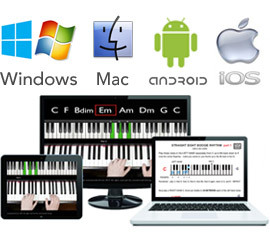 A 'beginners' piano lesson course "for all", which stunningly accomplishes TWO things which takes most piano teachers, quite literally, years to perfect and develop - making piano lessons FUN - not to mention, EASY - to endure. As a piano teacher of over 10 years, I can attest to the fact that, making piano lessons “FUN”, is not always an easy task to accomplish for students. 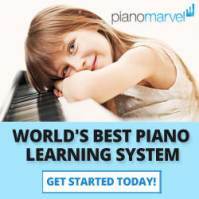 Three words, Piano for All says it better, simply because everyone loves to have FUN... instead of long drawn out, traditional, boring, conventional, you-name-it... piano lessons. So then, how do you COMBINE FUN and PIANO LESSONS in the SAME sentence? Students of this course gain confidence quickly, being helped to learn 1) recognizable songs, 2) easy concepts, and (3) making the two work together synergistically. 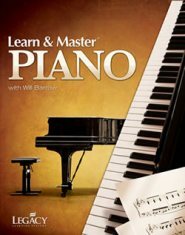 So many “traditional methods” taught by piano teachers (not to mention the books they [I mean, "I, as well"] incorporate into traditional piano lessons) emphasize sight reading. Really though, this doesn’t make any sense. When humans learn to talk, we don’t learn to read the letter “A" first, and then learn to speak, “A”. Rather, we learn “mama” and “dada” without knowing what an “A” is.... true? Very often students give up too easily, and quit out of frustration and boredom. Thankfully, Piano For All takes all of the “work” out of learning and replaces it with fun instead. Of course, sight reading is included in this program, but doesn’t LEAN on sight reading as HEAVILY as piano teachers so often do. The course includes 10 eBooks, 500 audio files, and 200 videos. The course helps beginning students to build a foundation of harmony (chords), timing (rhythm), and patterns along with familiar melodies. 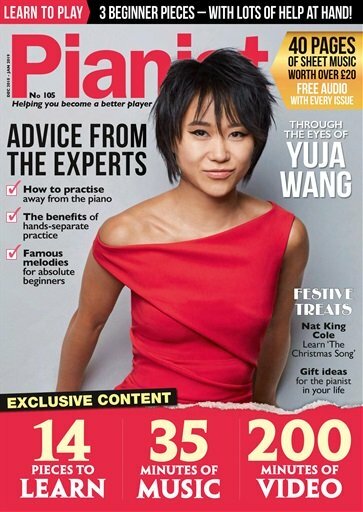 What's The Cost of Piano for All? Let's calculate the cost of a single piano lesson multiplied by 50 weeks (with 2 weeks off) out of the year. You would pay hundreds (if not thousands) of dollars per year in tuition fees. ... and the cost of Piano For All? And if you don’t like it, **SURPRISE** you get to 1) Keep 100% of the program (yes ALL of the course materials) and 2) You Get your money back. I can't think of [nor have I met] a piano teacher who offers a money back guarantee AND lets you keep the course materials besides (a great benefit to say the least). If you like reading, this course is for you. On the other hand, if you don’t like reading, this course is for you too. With audio files - the ‘reading part’ is done for you. With videos files - the ‘listening part’ is done for you (you can watch and learn). 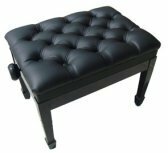 Your piano playing life will be transformed. You won’t ever look back regretfully on any lost money - or on piano lessons - ever again. 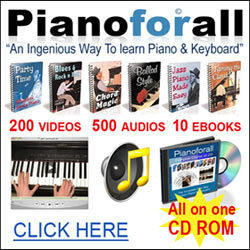 WANT TO LEARN TO PLAY THE PIANO, BUT DON'T OWN A PIANO, YET?